Confirms that the Home Office will continue to look to grant status rather than refuse and in line with the UK commitment to be more generous in certain respects than the draft Withdrawal Agreement, a person will not be refused status under the EU Settlement Scheme because, for example, they are not economically active or they do not hold comprehensive sickness insurance. This entry was posted in Brexit, News on December 6, 2018 by romafutures. This entry was posted in Events, News and tagged Brexit on November 22, 2018 by romafutures. Lukas Pokuta; Dominik Pacan, Stefan Pecha & Erik Pacan performed a medley of Romani songs alongside Robin Grey at the Sheffield Youth music event at Yellow Arch studios on Sunday 8th July. The boys were welcomed to the event and took the chance to sing with Robin accompanying them on guitar. The organisers of Sheffield music services were delighted to hear the songs and meet the boys. 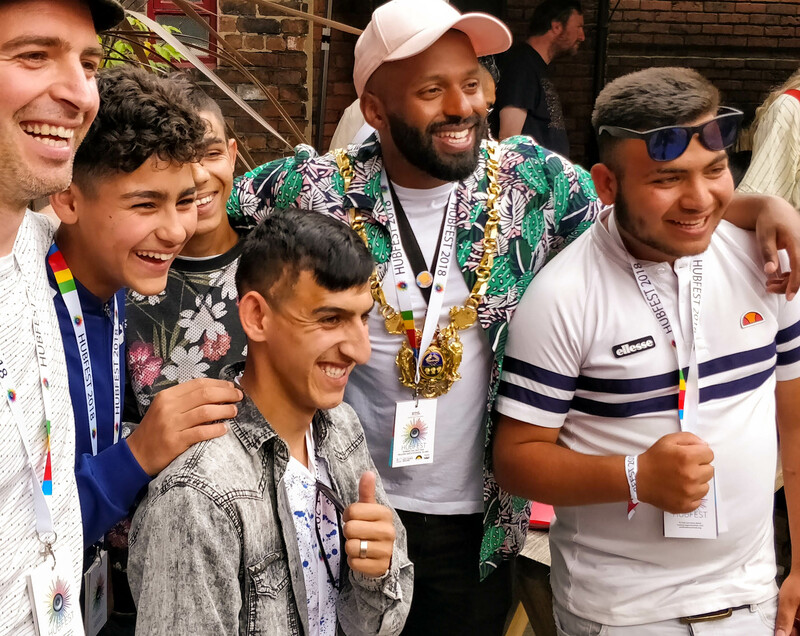 Plenty of applause and a photo with Sheffield Magic Magid, the Lord Mayor. This entry was posted in Events, Music, News, Performance, Video on September 19, 2018 by romafutures. Roma children in Sheffield came together for a poetry workshop, facilitated by Coco Neal. The poetry written was centered around the theme of “Home”. For many of the children involved it was their first time writing poetry. The film was entered into the Travellers Times Poetry competition which is part of the GRT History month. “HOME” Poetry by Roma Futures from Roma Futures on Vimeo. This entry was posted in News, Poetry, Video and tagged Coco Neal, Travellers Times on June 24, 2018 by romafutures. Greentop Community Circus based in Grimesthorpe, Sheffield, have worked with the Roma community for several years now offering places for local children in their classes. Terezia Rostas has been instumental in supporting this work. Terezia: The community and all the team are very sad that the “CircUs” project came to an end after 18 months. Greentop circus is applying for more funding for the project to continue, probably from September. The feedback of the children and of the parents was 100% positive and all children have said that they are looking forward to coming back to the circus. Terezia: Why is that? Because circus makes them feel fitter, stronger and more confident. Here is the link to a video the brilliant Flycheese made of Greentop’s CircUs! neighbourhood project. All part of the Circus250 celebrations. This entry was posted in News, Uncategorized on March 29, 2018 by romafutures.